Fall is rolling in here in PA, the leaves are falling like the temperature, and the High Power season is wrapping up. 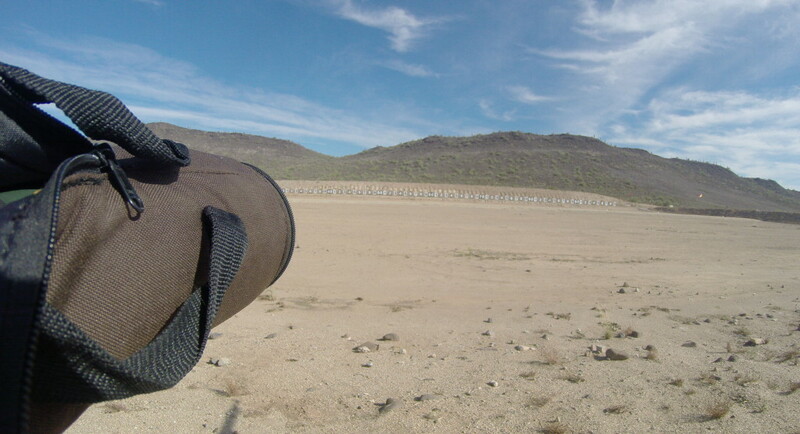 However it is warm and sunny at the Ben Avery Shooting Range in Phoenix! 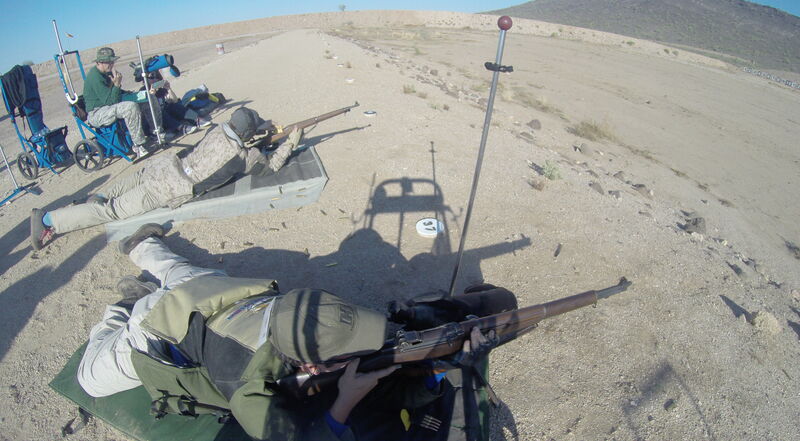 The GTB shooting team checked our Garands with what was left of US Airways and flew out to Phoniex for five Garand Matches and a Carbine Match. We rolled into Ben Avery on Friday, checked in, and much to our wives’ happiness, left before the sales event started. It was warm and sunny all weekend. I should clarify that it was “Phoenix warm” which is just shy of 100 degrees. It’s cliché to say but the “dry heat” was not so bad. Unlike back east, I didn’t have to constantly de-fog my glasses. We learned quickly to keep hydrated; dehydration creeps up quickly in the desert. Ben Avery is a great facility. It is easily the nicest shooting facility I’ve been to with the exception of the Talladega Marksmanship Park. 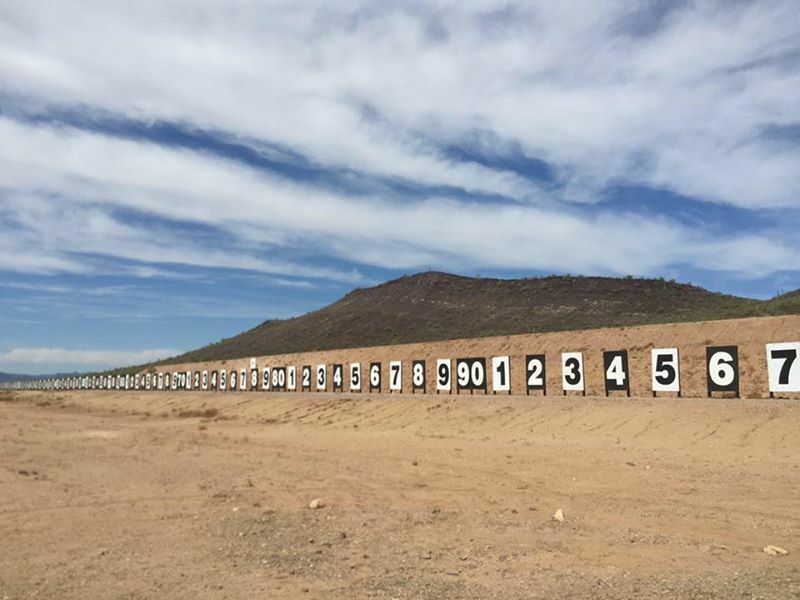 They boldly claim they are the “largest publicly owned shooting range in the world”. 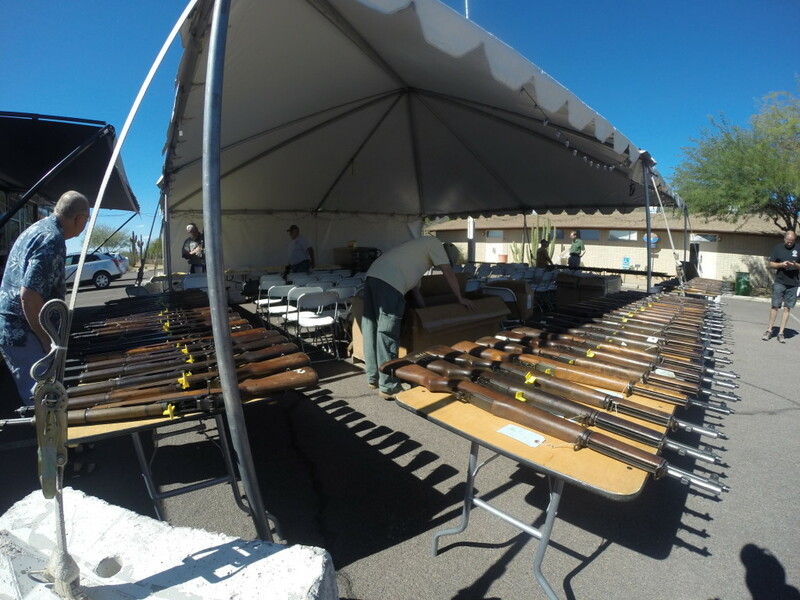 It’s a massive 1700 acre facility with ranges for rifle, pistol, archery, and trap. 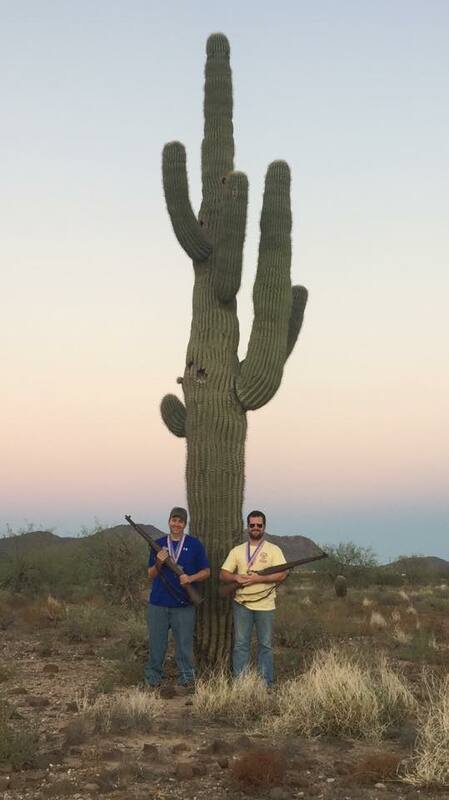 It is owned and run by the AZ Game and Fish Department, which the folks there pointed out means it is not funded by tax dollars but instead funded by hunting license purchases and range fees. 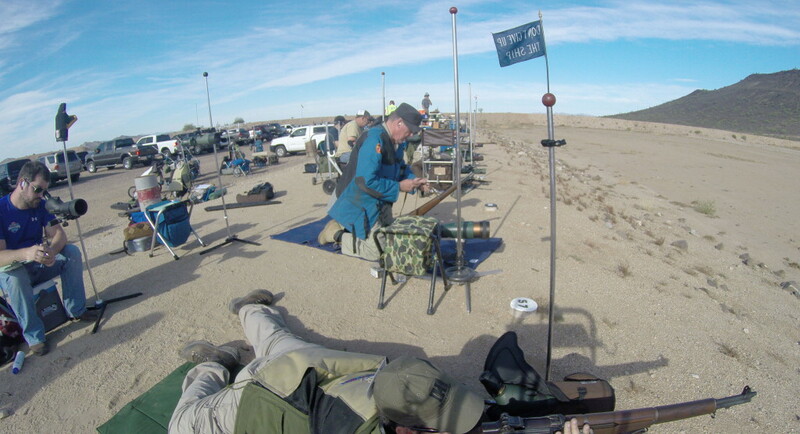 The Western Games were held mostly on the 1000 yard across the course (XTC) range, which has 100 firing points and pits with an over hang for shade and cantilever pits. 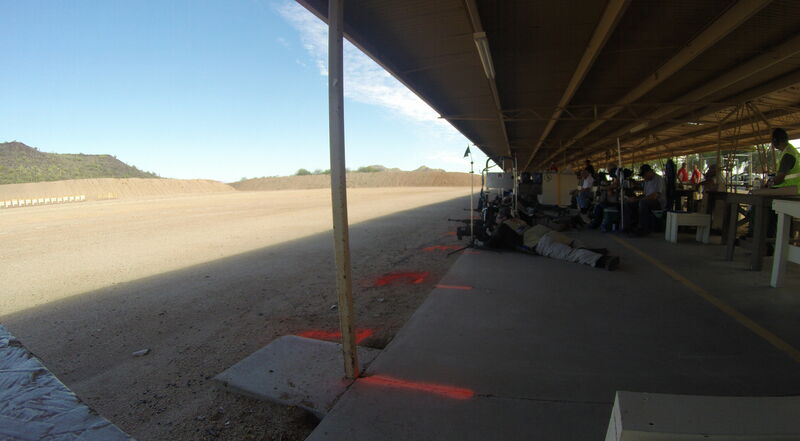 The Carbine Match was held on one of the rifle ranges that has no pits. We were able to shoot under cover which was nice. My performance pretty much the entire weekend was consistent. I don’t mean that in a good way. I seem to have forgotten how to establish NPA in off-hand and wobbled all over the place. I couldn’t call my shots and really had a rough time. 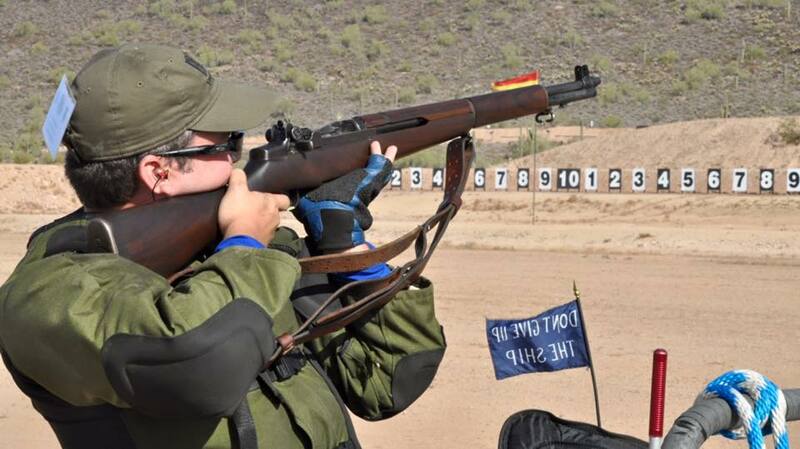 At one point I had done so well in the prone stages I was more or less handed a gold medal and only needed an 85 in off-hand to make the cut for gold. But instead I went a head and shot in the mid 70s just squeaking by the bronze cut. By Monday (and after some observations from my shooting buddy) I got it back together. I was on my way to scratch up a silver. But… in off-hand I decided to pop one at 6:00 just below the 5 ring after deciding I didn’t like the sight picture and took another breath. Well let’s just say remember to take your finger off the trigger when resetting. Painfully I missed the silver cut by four points so “all i would have needed to do” what put that bad shot in the scoring rings. The carbine match killed me at Perry this summer. So I was searching for redemption in the desert. I learned my Winchester Carbine had of all problems, a loose barrel. This may have explained why sometimes it shot well and other times it was terrible. So I took my Saganaw instead. 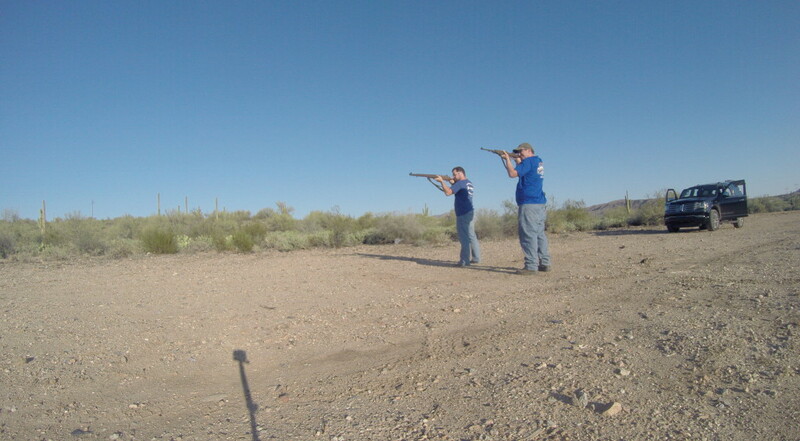 I also changed my shooting style by giving up the sling and trying to “hold it like a pistol”. By which I mean really hold it tight as opposed to kind of propping it in my shoulder like a proper rifle. In the end I missed out on a medal by two points but I feel like a got some redemption anyway as I drastically improved my score with this little gun. 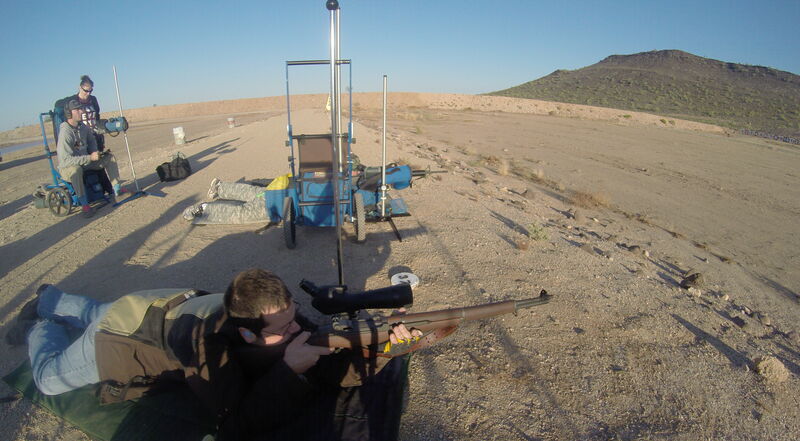 With a little practice and some hand loads, maybe I can bring home a carbine medal at Perry next year. 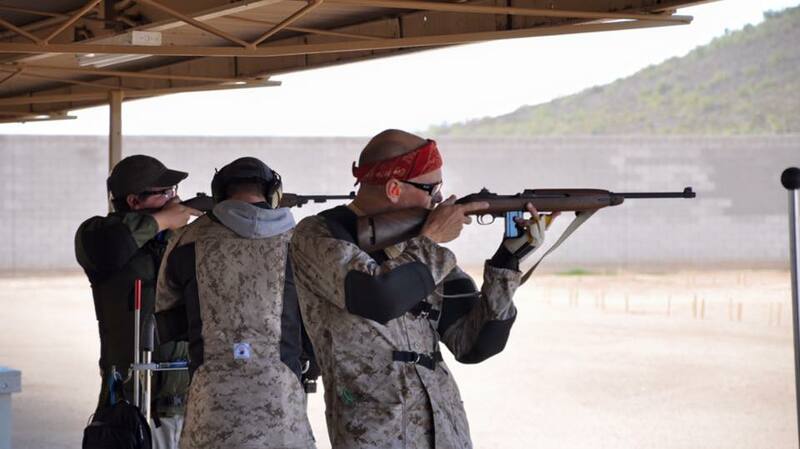 In the end I came home with four bronze medals and beat my personal best significantly with my carbine. My shooting buddy managed to make a silver. I suppose we will have to come back next year to dig for gold!